Looking For The Right SEO Consultant? If you’ve stumbled across this page, there is every chance you are one of the thousands of business owners who currently feels like finding an SEO consultant who can deliver what they promise (or what your company actually needs!) is like finding the Holy Grail. Or perhaps you are new to SEO and online marketing and have been confused by the endless jargon that you have heard from various SEO companies, when all you are looking for is some advice and guidance on where to start? Here at Freelance SEO Essex, we know we have the SEO consultants that are the perfect match for you and your company’s vision. Why Are We The SEO Consultancy For You? One of the big things that sets us apart from other SEO consultancies is that we provide a refreshing and transparent service without all the smoke and mirrors that are traditionally associated with SEO. We keep all our clients as involved with their SEO as they want to be. We encourage our clients to contribute to their campaign if they wish by helping us put together professional-standard guest blogs and press releases or offering up any other in-house resources they may have. Our search consultants gladly help all our clients with non-SEO related services, too. We’ll provide free Adwords account reviews, social media advice and Google Product setup where necessary. We will even create a Google Plus page, Maps and Places listings for free if our clients do not have them at the outset. We are one of the few SEO consultancies to operate on a rolling monthly contract. We offer this flexible service to stop our clients feeling trapped and to give them the freedom to walk away at any time with no ties. This therefore means that we need to deliver the results and level of service that we promise in order to retain you as a client! 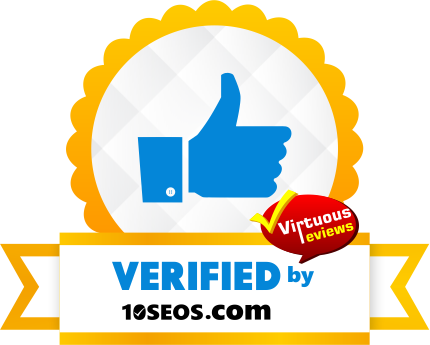 Our SEO consultants find that offering this type of agreement help us to build long-standing relationships with our clients and develop a high level of trust between both parties. Being a team of freelance SEO consultants, we do not allocate our new clients to account managers. You will always work with the same person throughout your campaign and will not suddenly find yourself dealing with a low level member of staff. Combine this with our excellent pricing structures and our commitment to high quality contextual link building methods and you’ll soon find that our consultants’ approach is really refreshing in an industry that is unfortunately rife with cowboys! When Should You Employ An SEO Consultant? Most business owners or marketing executives know that they are going to have to use an SEO consultant at some point to give their business every chance of being an online success. A very large percent of these executives are convinced that they need to get their website built first and then contact an SEO consultant once the platform has been set live. In fact, your SEO should start work before your website is even completed. The truth is, your strategy and campaign structure should be in place before the first draft of your website is even considered. SEO isn’t just about link building and changing content and meta data. Your consultant will help identify your target audience, analyse your competitors’ websites and discuss and advise you on the importance of conversion optimisation. Depending on the industry you are in, or what your target audience may be expecting, certain design features or calls to action need to be in place when they visit your website in order to create confidence in what you have to offer and encourage them to make a purchase or submit an enquiry. If your website is lacking certain factors, your SEO consultant can bring all the traffic in the world to your website but he or she cannot make them buy from you! Let’s face it, there’s nothing worse than spending a lot of money on a nice new website, only for an external specialist to come along and highlight something that’s wrong or missing – especially if it’s too late to change it for the better! This is why you need to ask an SEO consultant for guidance before your product is even off the ground.